Making cheesecake in a pressure cooker yields near perfect results every single time, and without all the fuss of a water bath and perfect cooking temperatures. 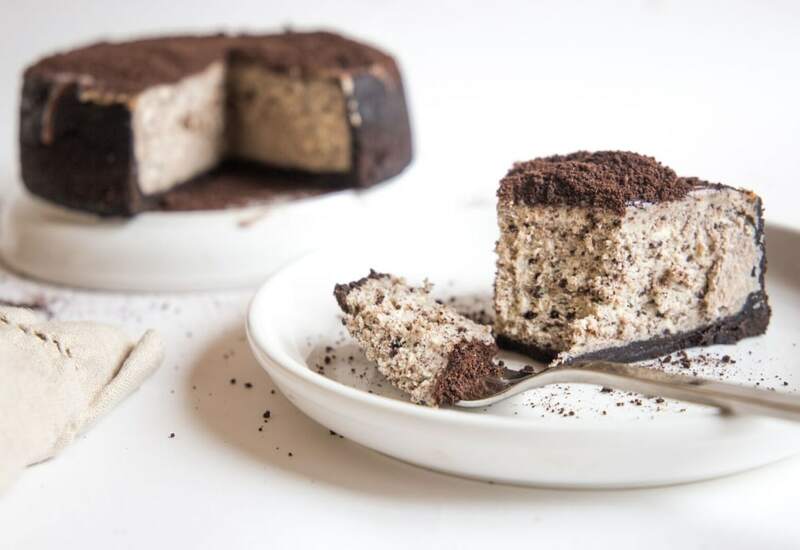 This oreo cheesecake is a rather decadent spin on traditional cheesecake, and the results are well worth the extra effort of scraping the oreo filling out of 30 oreo cookies. Line the base of a 7-inch cheesecake or springform pan with a parchment paper round. Grease inside of pan and parchment round with 1 tablespoon butter. Pulse cookies in a food processor until cookie crumbs have a sandy texture. Measure ¾ cup crumbs and set aside; leave remaining crumbs in food processor. Pour ¼ cup melted butter into food processor and pulse until combined, 5 to 10 pulses. Press crumb mixture firmly into base and 2 inches up the sides of prepared cheesecake pan. Blend cream cheese, sugar, vanilla extract, and salt together in food processor until smooth. Add eggs one at a time, blending until just-combined. Add half of the reserved cookie crumbs with last egg and blend until filling is just mixed. Pour filling into cheesecake pan. Cover pan tightly with aluminum foil. Pour water into inner steel pot of pressure cooker and place trivet in pot. Lower cheesecake pan onto trivet. Lock pressure cooker lid in place and set steam vent handle to Sealing. Select Pressure Cook and cook on High Pressure for 35 minutes. Let pressure release naturally. Transfer cheesecake to a wire rack to cool completely. Run a knife along sides of pan and invert pan over a plate to remove cheesecake. Place cheesecake in refrigerator until chilled and set, at least 8 hours or up to overnight. Drizzle fudge sauce over cheesecake and top with remaining Oreo crumbs. Leftover cheesecake freezes well! Just wrap whole cheesecake or individual slices in plastic wrap or place in a freezer-safe container. Defrost in the refrigerator or bring to room temperature. Per Serving: 690 calories; 49g fat; 57.9g carbohydrates; 9g protein; 179mg cholesterol; 517mg sodium. Cheesecake and Oreos! A girl's two best friends! This recipe is incredible, my cheesecake turned out perfect for my friend's small baby shower. Everyone thought it was from a restaurant, they did not believe me when I said I made it in my Multipot! The fudge is a must, don't leave it out! You had me at Oreo! I made this cheesecake for my sister's birthday and it came out perfect. I have tried other cheesecake recipes for the pressure cooker and they did not come close to this. Can't wait to try the others on this website now! 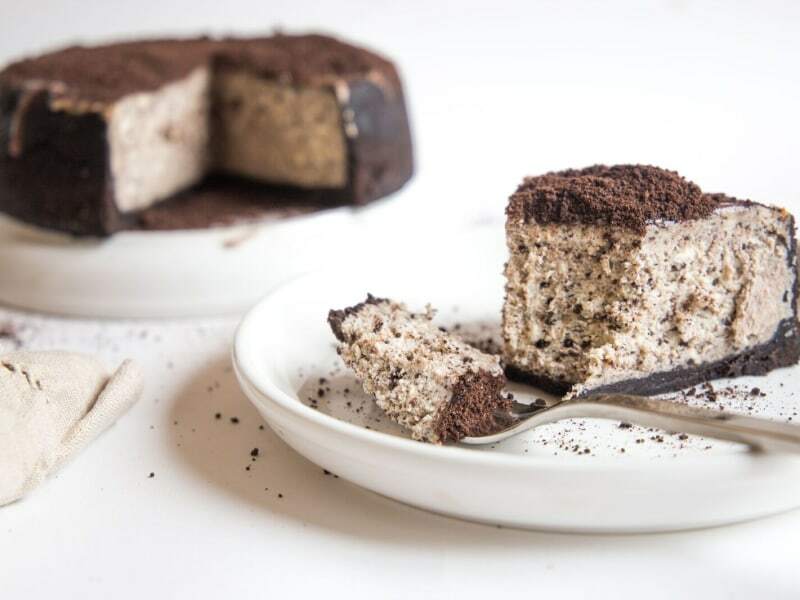 I can't wait to try the Orea cheesecake. I love this website and all the great recipes. Thank you!